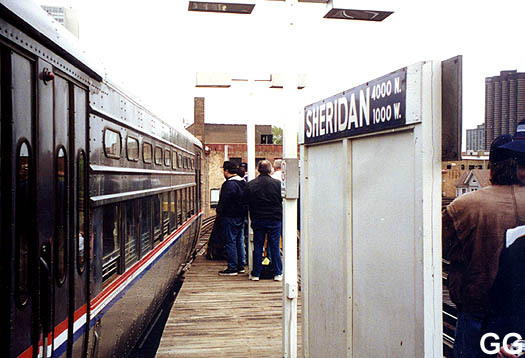 The Illinois Railway Museum's PCC fantrip was held on Sunday, May 6, 2001 with high attendance and great success. The trip used the museum's three PCC 6000- and 1-50 series cars -- cars 6655-6656 and 22 -- used in the filming of the movie Ali in March 2001. 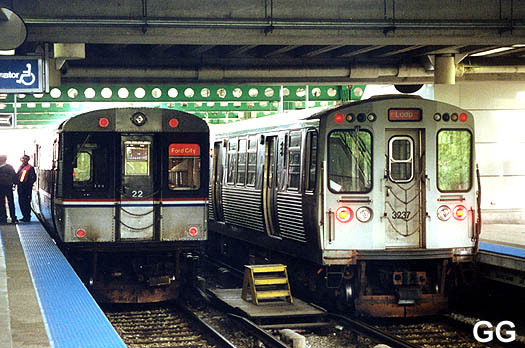 There were two trips run during the day that traveled on every line of the system except the Blue Line. 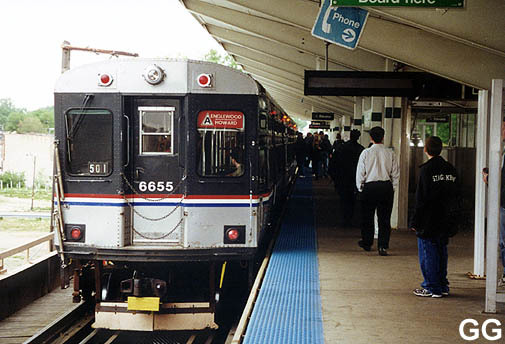 This was the first time that a charter has been run on CTA tracks with museum owned cars. 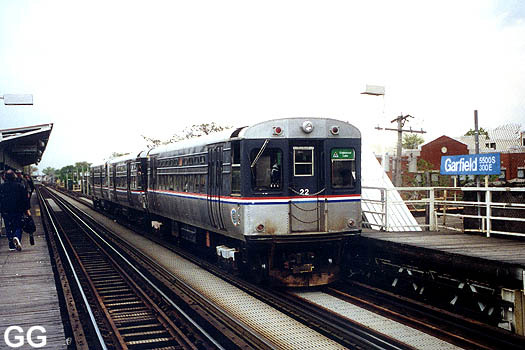 The morning trip, which was the most heavily attended at near-full capacity, left Howard at 9:00am and proceeded north to Linden. The train then returned south to Howard with a photo stop at Dempster on the way, then out to Hamlin on the Yellow Line (the extent of the third rail) and back to Howard. 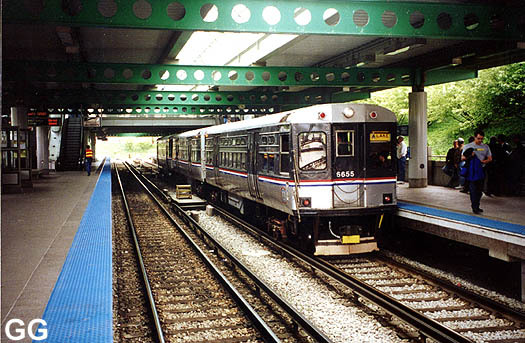 The charter then proceeded south on the North Side main line on track 1 and onto Ashland/63 via the State Street Subway (an excellent throwback to the use of the 6000s on the old North-South Route! 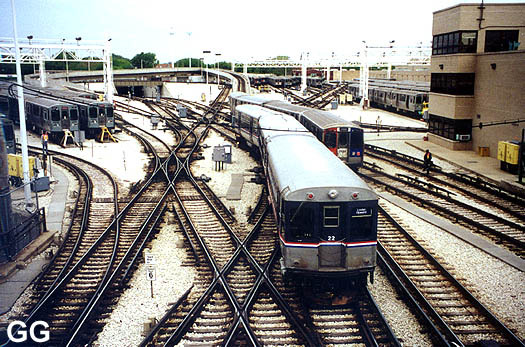 ), with photo stops at North/Clybourn and Garfield. 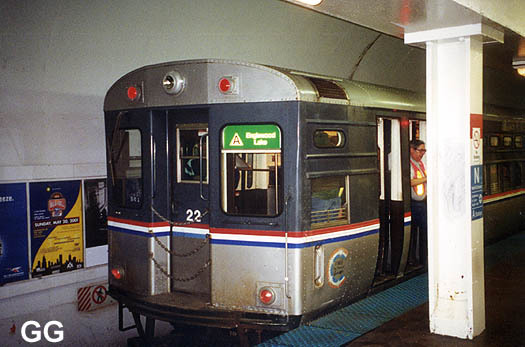 After a ten minute layover at Ashland, the charter returned north to the Loop via the Green Line and proceed out to Midway, with a photo stop at Halsted, a photo flyby at Pulaski/51, and a 25 minute layover on the lay-up track at Midway. 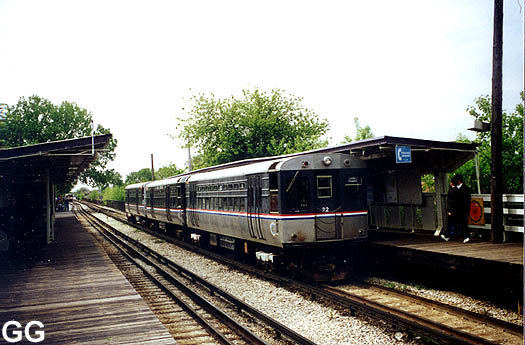 The morning trip then returned to Howard at about 2:00pm, traveling via the Brown Line with a photo stop and flyby at Sheridan. The second trip left Howard at 3:00pm with about fifty passengers and went south to Clark Junction, changed ends, and traveled north to Kimball. 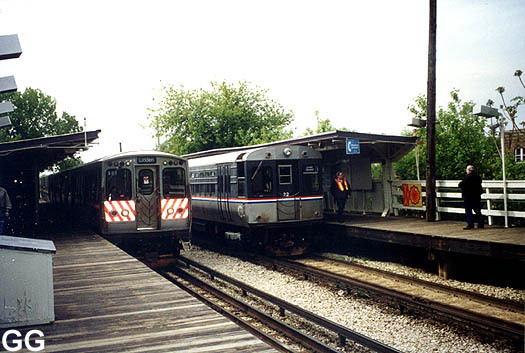 The charter then followed the Ravenswood Line to the Loop (one of the last routes the 6000s served on) and went east to Harlem/Lake. 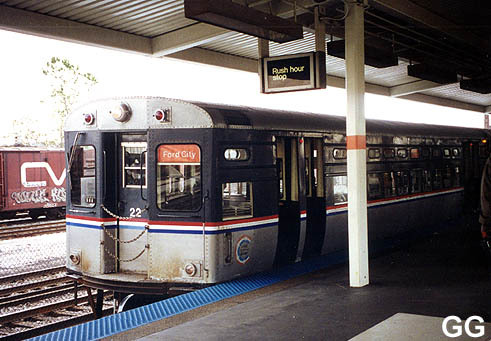 The trip returned to the Loop, proceeded southwest back to Midway, back north to Howard via the subway, continued north to Linden, then returned south to Howard, ending just short of 8pm. 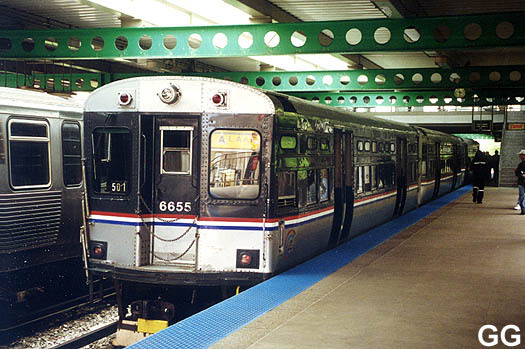 The train was laid up at Skokie Shops at 8:11pm. The Illinois Railway Museum deemed the trip a success, making a profit that will go toward the restoration of the historic PCC cars and experiencing no mechanical or operational problems with the forty-year old units. 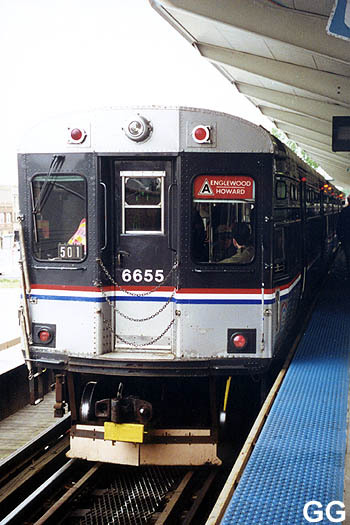 The trip was a historic event, possibly being the last PCC run on the Chicago rapid transit.